My fascination with Robert Heller began with Houdini. 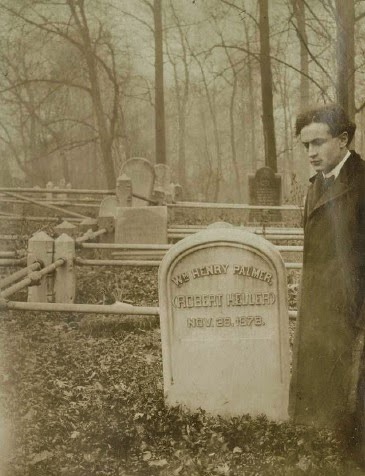 Specifically, the image of Houdini next to Heller's grave. Houdini referred to Heller in his Conjurer's Monthly Magazine, as "the most versatile magician who ever lived." Had it not been for Houdini, the whereabouts of Heller's grave would be likely be lost forever because it was Houdini who had rediscovered the grave. When I began to research Heller back in 2011, I had no idea I would become so fascinated by the man. He is certainly an interesting character. I had done a ton of research on him and thought I had uncovered about all there was to uncover, but it turns out I was very wrong. I came across a wealth of new material this weekend on Heller, including playbills and posters and some images and illustrations that I'm not sure have seen the light of day for a very long time. So I will be delving back into the life of William Henry Palmer aka Robert Heller, to see what new mysteries and insight can be uncovered. 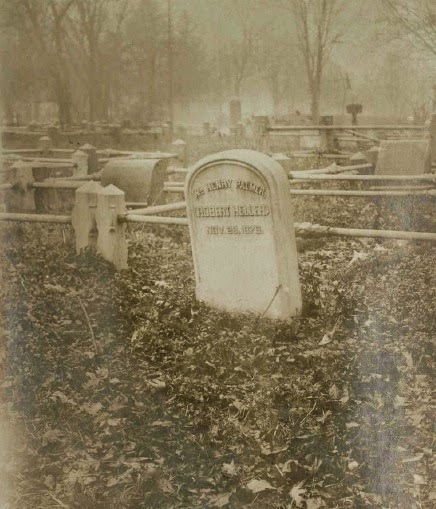 In the mean time, I hope you enjoy the new photo of the Heller grave, taken in 1910, very possibly by Houdini. And enjoy the poster below, it's a beauty. All three images come from a Houdini scrapbook. Wow! Thanks Dean! I've never seen that photo of Houdini next to Heller's grave. Another new Houdini photo always fascinates me. I don't remember the details but wasn't there a conflict between Heller and Kellar when they played in the same town? Wasn't that the reason Kellar changed the second "e" letter of his last name to"a"? That was cool! You can almost rap that poem. Did you get that from the Mike Caveney/Bill Miesel book Kellar's Wonders? An interesting book by the way and worth getting. The Caveney/Miesel book on Kellar is fantastic. The poem actually appears in numerous different sources.